Productivity is key for most developers. 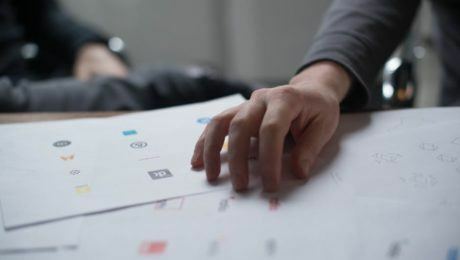 Projects mean deadlines and that means code has to be delivered on time, so knuckling down and being able to give a project your full focus is paramount. While you might have preferences when it comes to time of day (are you a morning person or does your productivity peak at night?) or sound levels (do you work with music in your headphones or do you need absolute silence? ), one of the most important decisions you make is which coding environment you use. Speaking of coding environments, it’s what we’re going to talk about today. 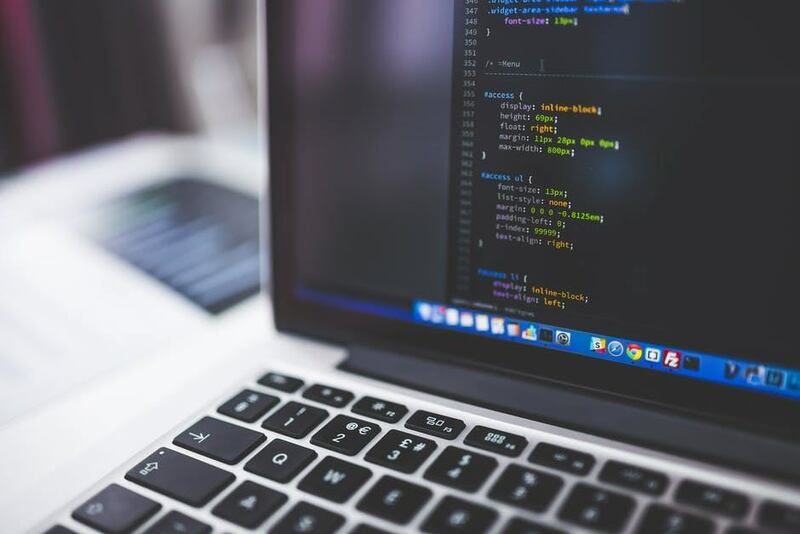 As well as exploring the difference between IDEs and text editors, we’re going to help you ascertain which option is the best for your needs, as well as share some our top picks in both categories. To kick things off, let’s take a look at the difference between these two types of environment. Known formally as an integrated development environment, an IDE is a coding environment that contains all the functionality you need to carry out all your tasks in one place. 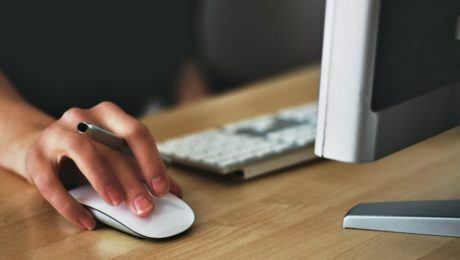 Most IDEs contain everything from debuggers to testing tools, code auto-completion and simple navigation, so it’s easy to see why they’re a popular choice amongst developers who work on complex projects. The ability to have all of the information about your project in one place is why IDEs are so handy, but they do come with a downside – they’re very memory intensive so can feel clunky and OTT if all you want to do is quickly create a snippet of code or a short script. What they lack in functionality, they make up for in simplicity. 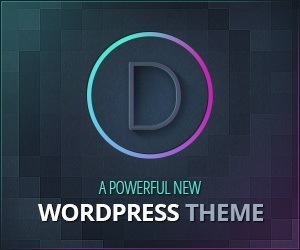 A text editor provides you with a pared back environment that focuses solely on the code. It’s the perfect option if you want to be able to jump on, quickly create a short snippet of code, and then move onto another part of your work. It’s simple, it all comes down to a combination of personal preference and the nature of the work you’re doing. If you’re working on a large scale project and you want a suite of tools at your fingertips then you can’t beat an IDE. If you want to code on the fly and need to create short, snappy snippets of code then a text editor will probably serve you best. 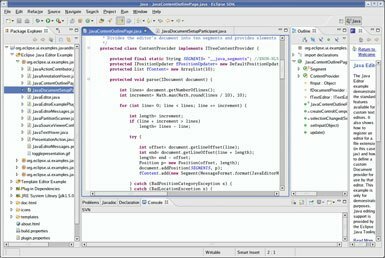 Created by Jetbrains, PhpStorm is one of the most comprehensive IDEs on the web. 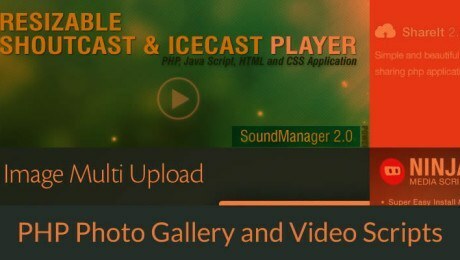 It supports all major frameworks, including Symfony, WordPress, Zend, Drupal, Magento and numerous others, so you’ll likely be able to use it for any project you’re involved with. 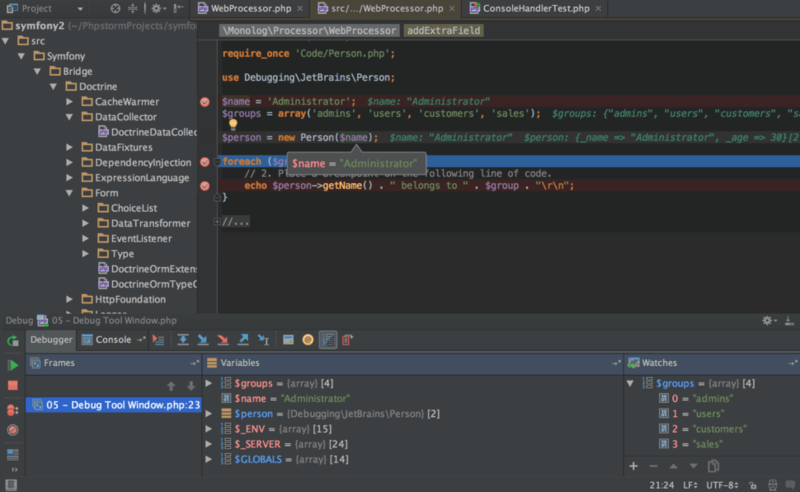 PhpStorm learns your code as you create it, making it an intuitive piece of kit that provides accurate code completion and can even help to prevent errors as you code. Eclipse comes as a base product that can be personalised using extensions and plugins available in the Eclipse marketplace, allowing you to create your own environment that’s tailored to your exact specifications. For this reason, no other IDE offers the same level of customisation that Eclipse does. Xcode stands apart from the other IDEs on our list because it was created for a specific set of languages: those that are used to bring Apple products to life. 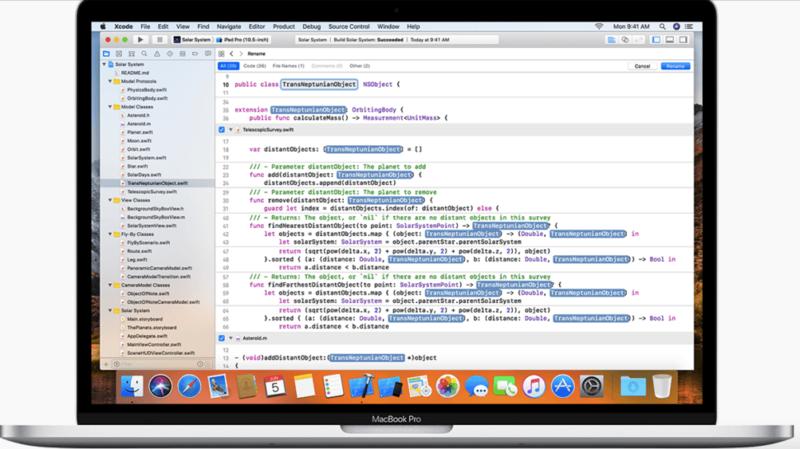 Perfect for developers who want to create apps for Apple products, Xcode (now on version 9) provides a speedy, easy to use environment that promises to perform seamlessly, even for the biggest projects. 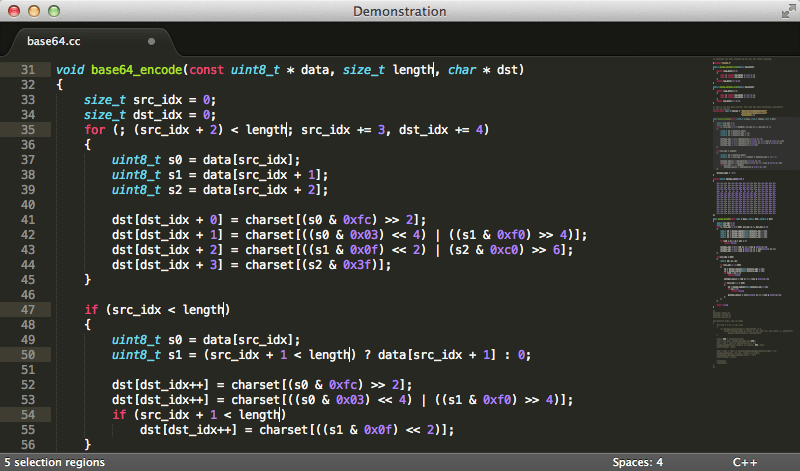 Sublime Text is a simple, intuitive text editor. It makes it quicker and easier than ever to create sophisticated code, whether you’re in your office or on the go. Distraction Free Mode helps you keep your focus on your work and the Command Palette allows you to search through functionality in a matter of seconds, meaning you can spend more time coding and less time searching for what you need. 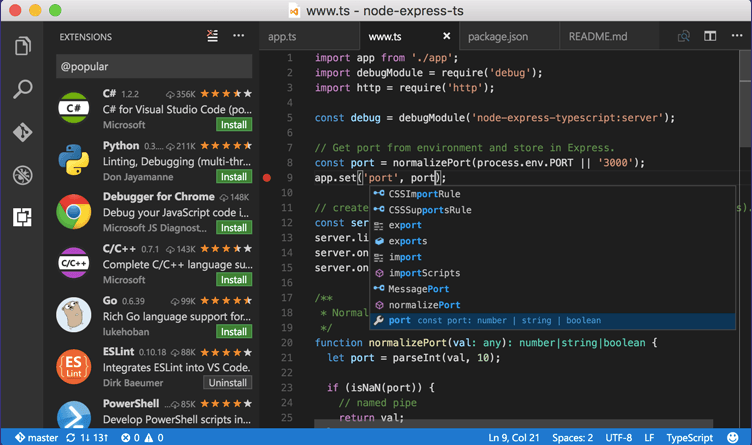 Completely free and open source, Visual Studio Code comes with built in Git commands and Intellisense, which provides helpful autocomplete functionality and learns as you code. 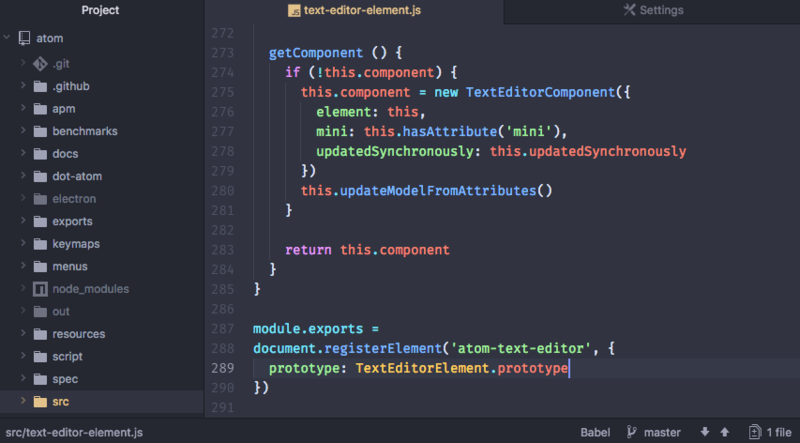 Last but not least is Atom, a hackable text editor that comes with smart autocompletion, multiple panes and a find and replace system that means you can quickly and easily make changes to your code as you go. The cross-platform editing is a great feature, allowing you to work on projects for OS X, Windows or Linux without complication.